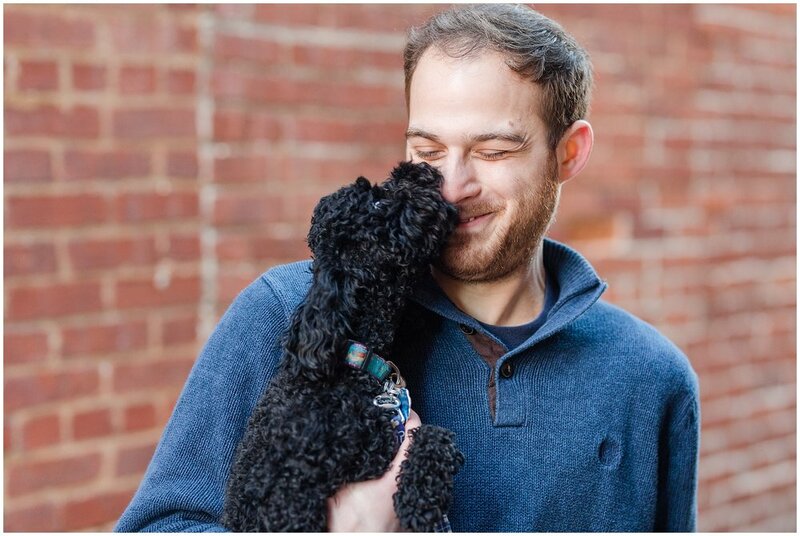 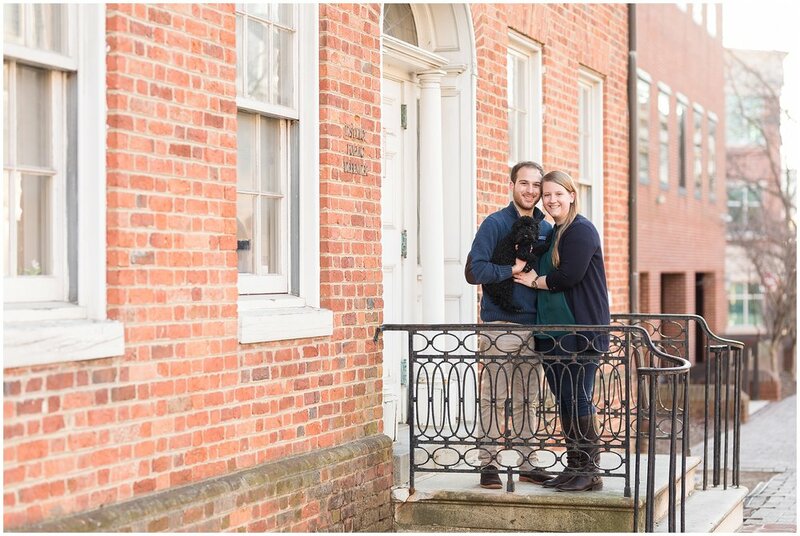 Friday evening I met Erinn, Chris and their one year old toy poodle, Olive, in Downtown Frederick for their engagement session. 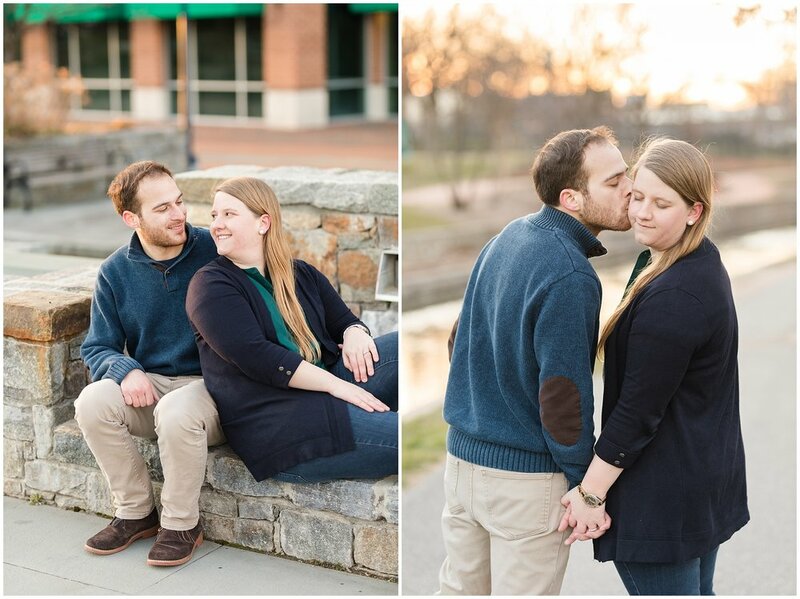 It was a bit windy and chilly but that didn't stop us from having a great engagement session! 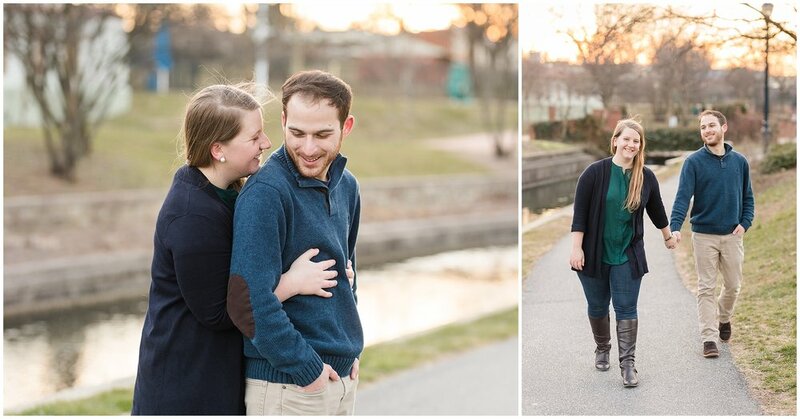 We spent some time exploring different roads and alleys and ended our session walking Carroll Creek during the sunset! 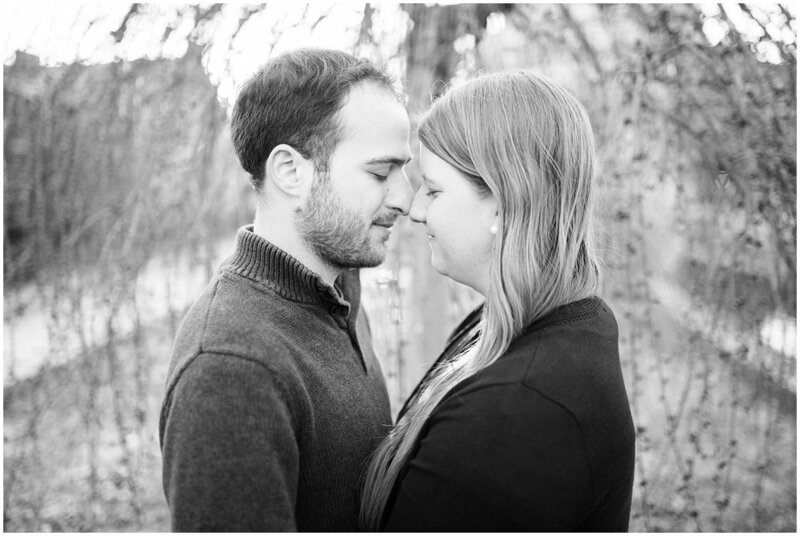 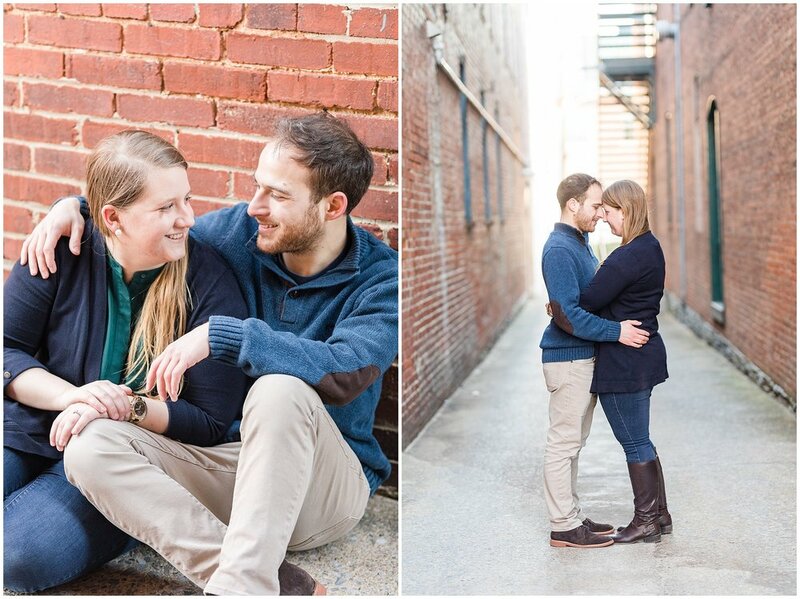 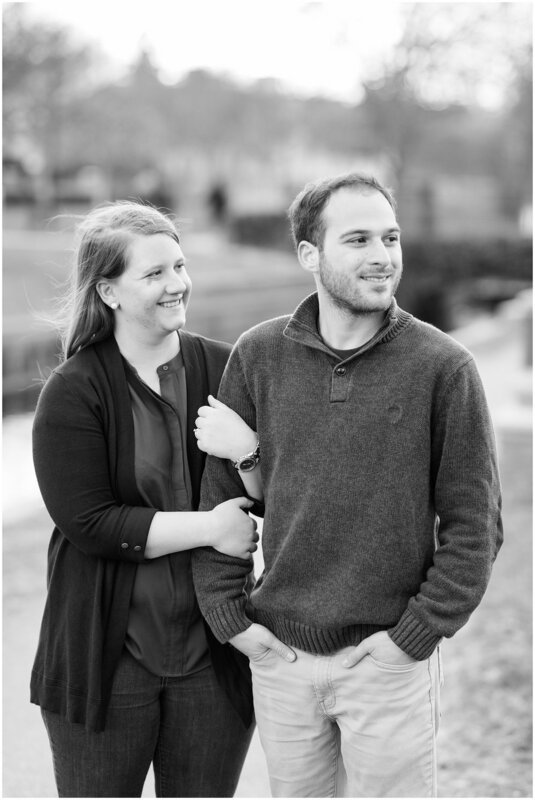 Erinn and Chris are fun-loving couple who like to joke around with each other and make each other smile. 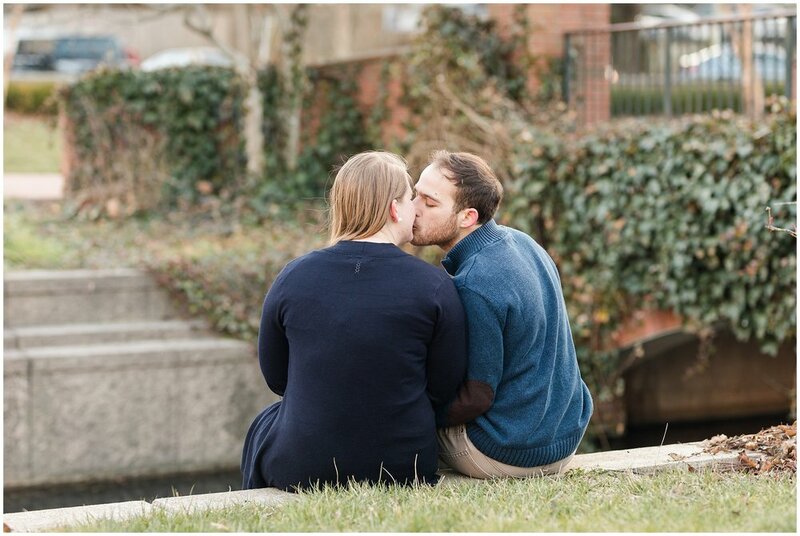 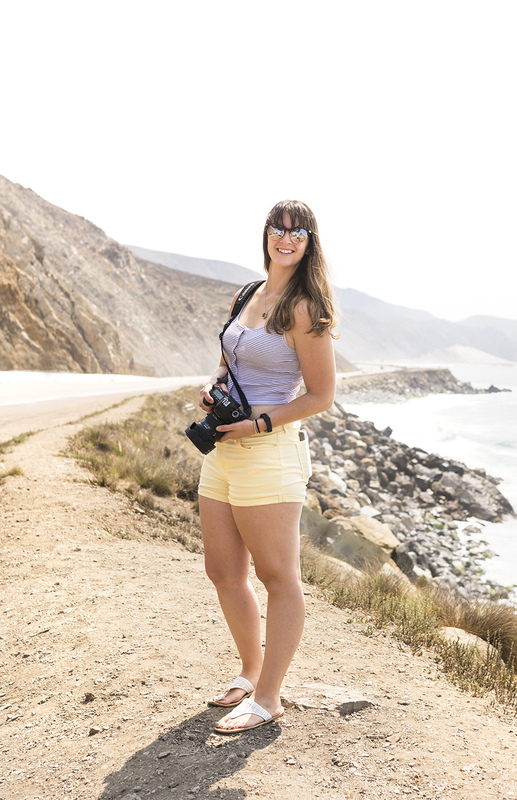 They are a Tinder success story (which is SO awesome!) 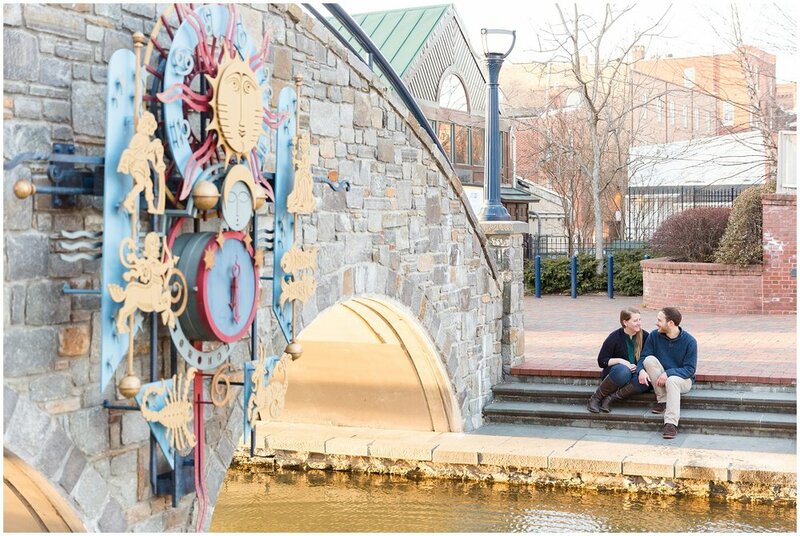 who had their first date at JoJo's in Frederick. 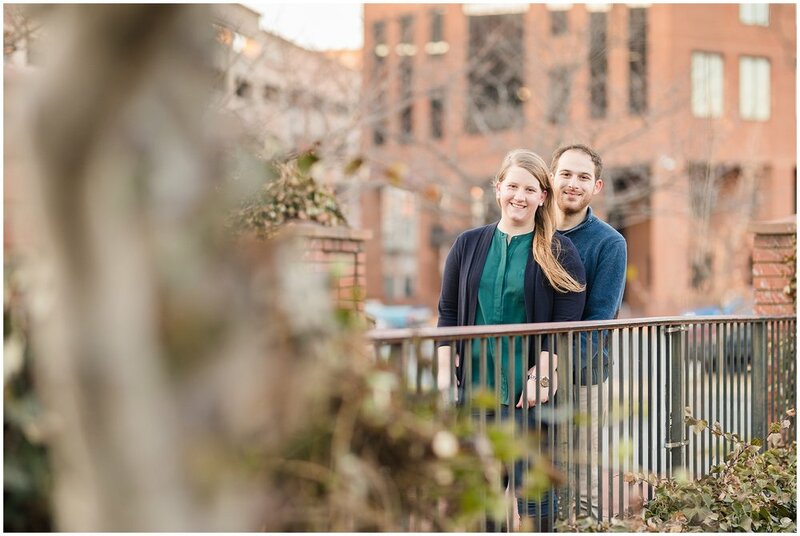 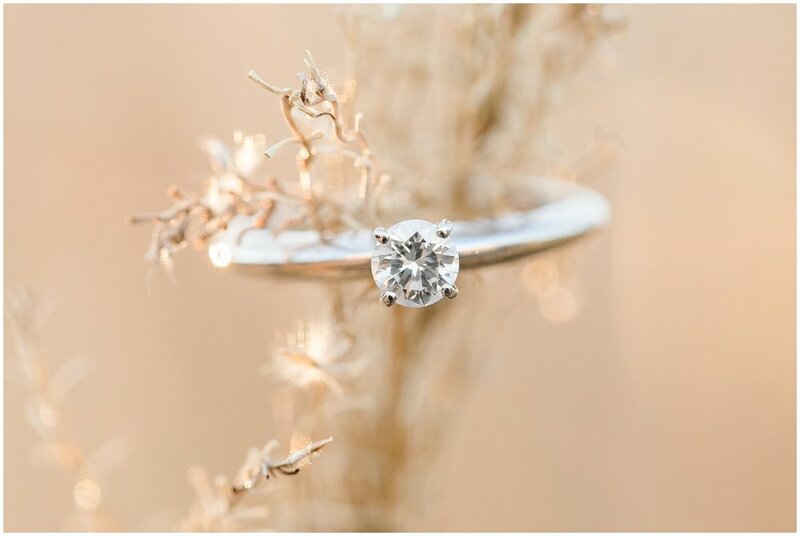 I love that they chose to do their engagement session in such a meaningful location! 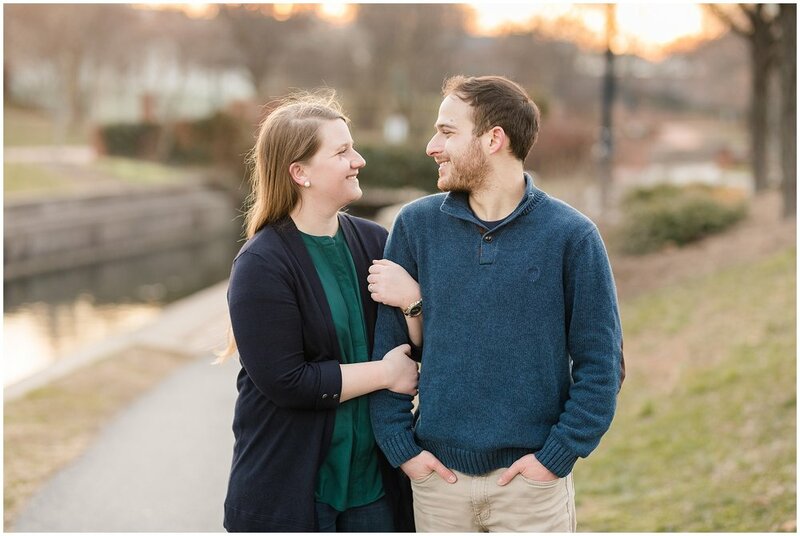 Erinn and Chris will be getting married this December at Springfield Manor Winery & Distillery and I can't wait to be a part of their wedding day!